Breaffy House Hotel Mayo is the perfect hotel for couples looking for that well deserved relaxing break! 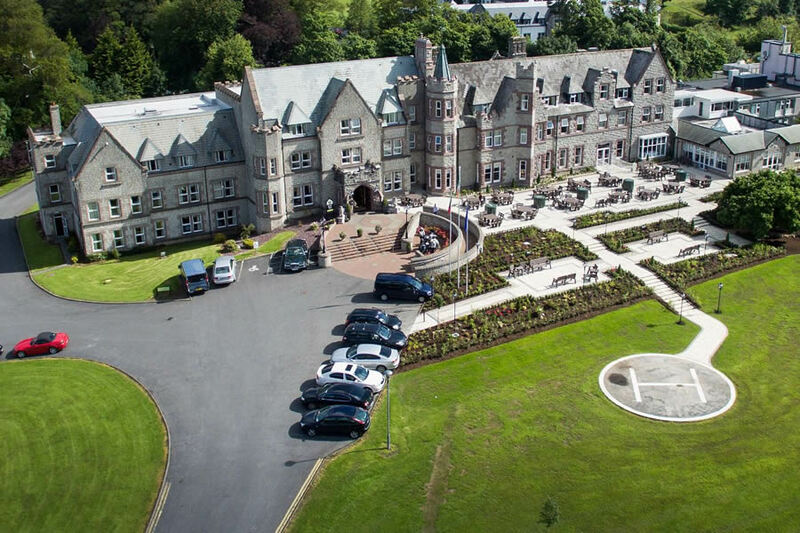 Set on a 90 acre estate of Breaffy Resort, the Breaffy House Hotel Mayo is just outside the bustling town of Castlebar. 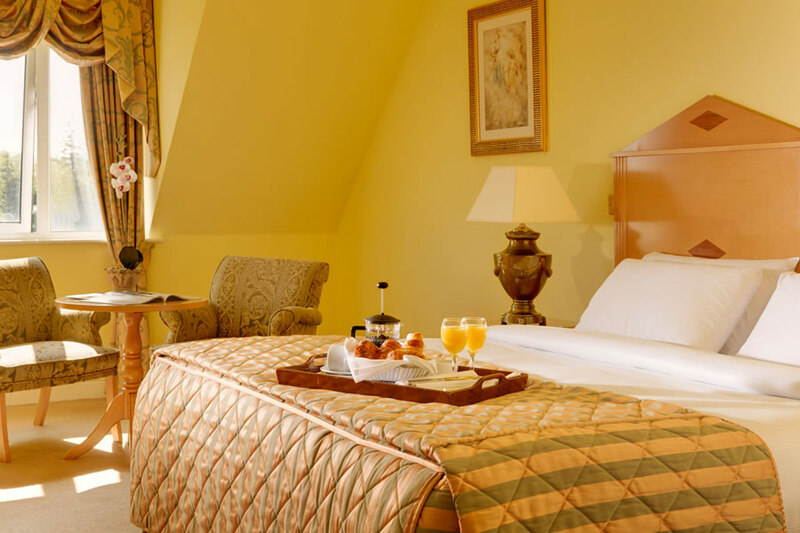 Retaining some of its original Country House atmosphere, this hotel dates back to 1890. Spa treatments at this hotel are Dry Floatation or Mud Chamber for 25 minutes. From Galway: Take the N17 via Tuam to Claremorris and the N60 from Claremorris to Castlebar. The Breaffy House Resort is on the left-hand side as you approach Castlebar. Alternatively, take the N84 via Ballinrobe to Castlebar and the N60 Claremorris Road out of Castlebar. The Breaffy House Resort is on the righthand side as you leave Castlebar. From Dublin: Take the M4 out of Dublin and N5 Via Swinford to Castlebar and the N60 Claremorris road out of Castlebar. Breaffy House Resort is on the righthand side as you leave Castlebar. Castlebar has numerous attractions for the visitor. It has received international recognition for both walking and angling. It is also centrally located for touring Mayo including Ballintuber Abbey, The Ceide Fields, Croagh Patrick, Foxford Woollen Mills, Moore Hall, Pontoon and the Turlough Round Tower. Annual festivals include the International Four Days Walks, The Blues Festival and The Heritage Day. The range of facilities in Castlebar include, swimming, bowling, golf, pubs, cafes, horse riding tennis and many many more. Great stay. Lovely room with a huge bed. Wasn't too hot like many hotels with the option for additional heating if you like it really warm. Breakfast was really good with so many choices. The staff at the breakfast were equally excellent. Stayed here on 23 November 2017 on Dinner Bed & Breakfast and we also booked a Spa Treatment. We were pleasantly surprised with the renovation work completed and the Hotel facilities were excellent. We also upgraded to a Junior Suite which was well worth the money. The staff were very helpful and we would gladly return to this hotel again. The hotel and grounds are beautiful, the staff are so friendly & helpful, food (dinner & breakfast) was super so a great stay all in all. Stayed two nights at beautiful Breaffy House Hotel with my husband. We had a lovely time. Hotel and grounds are beautiful, so peaceful and relaxing. Breakfast was excellent. Included dinner was also beautiful. Organic salmon I would highly recommend. Staff are very friendly all over the hotel. Our room was very clean and comfortable, lovely toiletries. We were a couple and had a family room, so lots of space. The only recommendation I would suggest is to have a fan in the bathroom for steam from bath/shower. Lots of places to visit in the area also. All in all, a fantastic place to stay and would highly recommend it. We would definitely stay here again ( this was our second visit). SMALL DOUBLE BED /FIRE ALARM KEPT GOING OFF TROUGH DINNER / ROOM CLEAN BUT TILES COMING OFF BATHROOM WALL / SHOWER FROM THE 90S/ SHOWER CURTAIN DIRTY / BUILDERS WITH A BREAKING HAMMER ALL TROUGH BREAKFAST. WILL NEVER BE BACK: STAFF FRIENDLY VERY GOOD BREAKFAST. Great value hotel, comfortable large family room with double bed and two singles. Staff were helpful and friendly and the children loved the pitch and putt course, The pool was good size and great fun was had by all. Food was a hit and miss good breakfast but average dinner which was all part of our hotel deal. Still great value and would go back again for sure. We had a wonderful time at Breaffy House Hotel. The staff were very friendly and helpful. The room was spacious and very comfortable and the food was excellent. We had a wonderful time at Breaffy House Hotel. The room was spacious and very comfortable. The hotel has a great swimming pool and spa. All round, a very good exerience, kids enjoyed the excellent Magic Dan and the Captain Jack gang, hotel staff very helpful. Plenty to do in the surrounding area. We had a lovely family stay at this hotel, would highly recommend staying here, very child friendly. Breaffy House Hotel very picturesque location, lovely to walk around the grounds. Staff very friendly, room lovely and spotless. Food very good for breakfast and evening meal. Would recommend it to anyone. Enjoyed our stay there and will come back again. The hotel and leisure centre are both in need of a lick of paint and minor renovation, it must;ve been ages since any work was done. Breakfast was average but not bad. Because we were on a deal they put us in one of the cheaper rooms in the wings but that's to be expected. Still with B&B for €70 for two, and a leisure centre (pool, steam room, sauna, jacuzzi, gym), you can't go too far wrong. Would book it again if in the area and got the same deal. Fantastic stay at Breaffy House with our two preschoolers. We arrived to the midst of a wedding and thought uh oh but it made no impact at all. Every member of staff we met was fantastic. The room was large and clean. The pool was great for little ones. Most of all the 2 girls who hosted the Kiddie Disco were incredible, absolutely brilliant manner with kids and adults alike. All the staff were excellent. The meals were lovely and the wine was very reasonable. Breakfast is buffet style except for the hot food and that makes sense because there were a lot of children around (Easter holiday time). There was a different singer in the Bar/Lounge each night and it was not too loud. Some building work is going on but it did'nt make any difference. We had a great time. We had a lovely stay in the hotel, even though there was renovations going on at the moment, there was little or no inconvenience to our stay, staff were very friendly & helpful, especially the reception staff, would definitely go back. We had a lovely stay in the hotel, even though there were renovations taking place the next morning, it didn't take from our stay. Our room was beautiful and the swimming pool and facilities were spotless and both myself and my daughter had lots of fun. Staff were very friendly and accommadating and the food was gorgeous. Looking forward to seeing the finishing touches to the hotel. 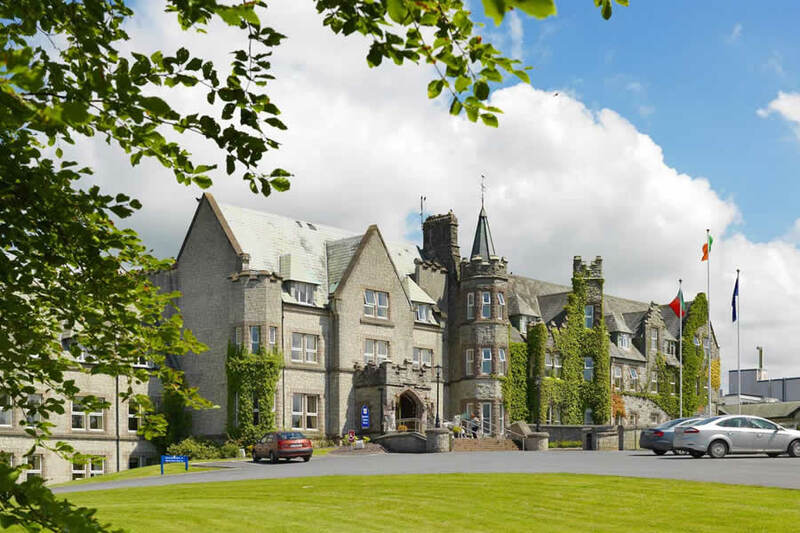 Breaffy House Hotel is set in a picturesque location. The family room was very spacious and clean. The furniture in the bar could be better maintained (Chairs had torn seats). Staff were very helpful and the hotel is very child friendly. In the Breaffy Woods Hotel the evening entertainment was very good and well organised but a bit loud for younger children. Overall we had a very enjoyable few days in Breaffy House and I would recommend it to other families. Excellent Place to stay even for one night, really enjoyed it with the kids, Dinner was lovely in the Hotel and Staff were very friendly, will definately go back. Family Hotel room very clean and bright stayed with 3 kids. We stayed at Breaffy House Hotel with 2 young children for the Jun'14 bank holiday. We had a brilliant time and the staff and accommodation was excellent. Great value for money, a little in need of T.L.C. but still worth a visit. Lovely grounds, Staff excellent, polite, helpful and friendly. Warm and comfortable. Very quiet and peaceful. Vegetarian selection not great. Pool lovely. What can I say about Breaffy House from the warmth of the welcome to the courteous staff and excellent food, it was a terrific experience from the time we arrived to our departure on Sunday. A repair kit was quickly procured on Sunday morning to avoid an emergency. This was our 3rd visit to Breaffy House and as the old adage goes if it aint broke don't fix it - I would heartily recommend Breaffy as a destination for a quite relaxing weekend away or indeed as a spot to base yourself whilst exploring the west of Ireland. We are already planning our next get away. stayed at the hotel for 1 night.beautiful surroundings and hotel,rooms comfortable and very warm. older stlye furniture which matches style of hotel.used the swimming pool which was great.make sure and take your own swimming hat as you have to wear one and they charge 3.50 euro for it.. dinner and breakfast very nice,entertainment for kids was good.collected my child the next morning at 9 from the room and they done activities with them till 12 free of charge,she loved it.very pleasant staff and stay. had a great stay at Breaffy House Hotel. lovely place v clean good food and lovely staff. I stayed with a group of six women for two nights. Breaffy Hosue was ideal for shopping in Castlebar, just a short taxi journey. The hotel was first class, from checking the reservation, they offered to have all three room close together, they accommodated us with an early checking in 12 noon. We booked a meal in the restaurant for the second night and the staff were so nice, we had bought a birthday cake which they served, even lighting the candles. The hotel was very comfortable, nice and warm everywhere. We made full use of the pool and the health suite, the staff again were so helpful and pleasant. This was our second year staying in the Breaffy House Hotel, and we are looking forward to returning next year again. It is just a pity we cannot give it a higher rating than 5 stars. The hotel is a nice 3* but the rooms on checkin could have been warmer and maybe less hot through the night. More hot water in the evening for showers would also be nice. This was our second visit and I think the standard has dropped loads since our last visit in August. Breakfast was basic and plentiful but a lot of the crockery was not clean. Regarding the pool....the area round the changing rooms and corridor to the pool was very cold and the pool itself could have been slightly warmer. Unfortunately I agree with Damo on his review. Myself and my husband stayed there last week and we also experienced many flies at breakfast, they were sitting on the plates and on the food which I brought to the attention of the waitress who removed only one dish. Our room was large, basic but very clean. The dinner in the restaurant on one of the nights was fine with a fly or two for company. The hotel really need to do something about this. The hotel is a bit dated and could do with updating. We enjoyed the pool, sauna etc which was very nice. I have been to this hotel twice this year but wouldn't go back there again. Had a fantastic stay at Breaffy House Hotel. The room was large and bright. The staff were friendly and helpful. We made good use of the leisure center as we were cycling the excellent Green way during the day. It was a great way to unwind.The hotel also stored our bikes overnight which was brilliant. My only complaint is the bar is rather small and fills up quickly.